Sir Martin Sorrell, CEO of agency holding company WPP, has flagged a growing importance of internal communications as a key trend for marketers to look out for, calling employees the true power behind brands. Speaking at the Association of National Advertiser’s annual Advertising Financial Management conference last week, Sorrell delivered a list of key global trends facing marketers and agencies. Sorrell told attendees of the conference that internal communications is a key challenge for organisations, but also an opportunity to help staff live the company’s brand, as well as understand its vision and strategy. It’s a topic the leader of the world’s largest advertising and marketing services company has spoken on a number of times recently, and one that’s of high salience to his role at the helm of a company that’s been through so many mergers and acquisitions. 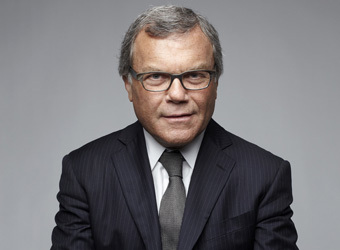 In the video below, from a separate address at Yale’s School of Management, Sorrell talks about the importance of integration across multi-brand organisations such as WPP, and touches on the part internal communications has to play. Sorrell goes on to say that keeping internal communications simple is key, particularly in a multi-brand company, and using digital tools, like Yammer which is used across the WPP network, is important as organisations leverage digital advances internally also. “The shift toward the east and south: In addition to China in the East and India in South-East Asia, he referred to the Germany-Poland-Russian cluster in Eastern Europe, observing that as long oil stays above $100 a barrel Russia will continue to be a formidable economic power. The Southern axis of opportunity points to Latin America and Brazil, which will host the 2014 Soccer World Cup and the 2016 Olympics. Other significant areas would be the Middle East and Africa, and in particular South Africa. Disintermediation: The web has, and will continue to create new business models and an attractive destination for consumers. Greater retail power: As Wal-Mart, Tesco, and Carrefour continue to face a tough, competitive environment, they are likely to lean harder on manufacturers, especially consumer packaged goods companies which, in turn, are likely to apply more pressure on their suppliers. The rise of finance: The collapse of Lehman Bros. in 2008 impacted corporate behavior more than it affected consumer behavior. Sorrell predicts that companies are likely to maintain a cautious financial stance for the foreseeable future, and sees finance and procurement as playing a more active role than marketing. Big government is here to stay: The financial crisis has brought about a bigger role for government in many countries, with increased oversight and regulations. This development is not likely to be reversed in the near future, in Sorrell’s opinion. Sustainability has been adopted as a good business practice: This is front and centre issue for every CEO. No CEO can risk greenwashing, and sustainability is now at the heart of corporate business strategy.